An 88-year-old man presents with a history of increasing confusion and lethargy progressing to obtundation over the past 12 hours. Vital signs are: Temperature 101.60F, blood pressure 88/60 mm Hg, pulse 120 beats/minute and regular, and respiratory rate 20 breaths/minute. General physical examination is normal with the exception of decreased mentation. There are no focal neurologic signs. Urinalysis is positive for leukocyte esterase and is packed with bacteria and white blood cells. Click here for a list of normal laboratory values. If the patient does not respond to initial treatment with boluses of intravenous fluids, then what is the most appropriate next step? Perform central venous monitoring to maintain left heart–filling pressures between 8 and 12 mm Hg. Manage fluid resuscitation in a patient with sepsis. Static measurements (e.g., central venous pressure) and clinical monitoring may be used to assess the response to fluid resuscitation in a patient with sepsis. Dynamic measurements may be more accurate. In patients who do not respond to fluid boluses, central venous pressure (CVP) monitoring should be initiated to guide additional fluid administration, with the goal of maintaining left heart–filling pressures between 8 and 12 mm Hg. For patients on mechanical ventilation or those with preexisting decreased ventricular compliance, a higher target CVP of 12 to 15 mm Hg should be achieved to account for the impediment in filling. Normal saline (0.9%) and lactated Ringer solution are equally effective. Patients with septic shock will require large volumes of intravenous fluid to maintain perfusion. Fluid replacement should be titrated based on clinical parameters, even in patients whose status is not critical. Colloids are no more effective than crystalloids and are more costly. Pressors are not indicated until or unless volume replacement does not result in improvement in blood pressure. In the presence of hypovolemia, elevating the lower end of the bed has little added value. Replacing normal saline with lactated Ringer solution does not address the central problem of hypovolemia. Dellinger P, Levy MM, Rhodes A, et al; Surviving Sepsis Campaign. 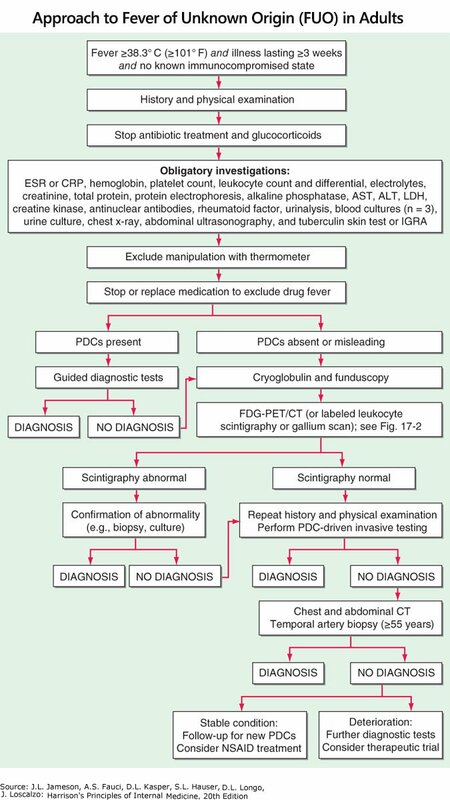 Surviving Sepsis Campaign: international guidelines for management of severe sepsis and septic shock: 2012. Crit Care Med. 2013;4(2):580-620. Lilly CM. The ProCESS trial–a new era of sepsis management. N Engl J Med. 2014;370(18):1750-1751. Rhodes A, Evans LE, Alhazzani W, et al; Surviving Sepsis Campaign. International guidelines for management of sepsis and septic shock: 2016. Intensive Care Med. 2017;43(3):304-377. Shapiro NI, Jones AE. Sepsis syndromes (chapter 130). In: Walls R, et al. Rosen’s Emergency Medicine: Concepts and Clinical Practice. 9th ed., 2018:1723-1731. Surviving Sepsis Campaign. Surviving Sepsis Campaign responds to ProCESS trial. Updated May 19, 2014. Accessed July 2, 2018. This question is a just sample from this week’s Free online medical education Quick Quiz. 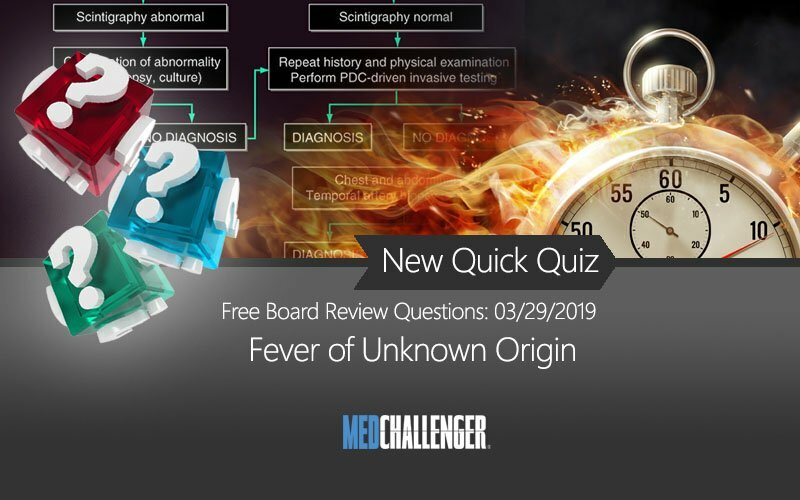 Every free board review "Question of the Week" is just a sampling of a larger set of free board review questions featured in our weekly free CME Quick Quiz. To enjoy free questions each week, all you need is an online Med-Challenger account. Most recent 5 Quick quizzes available. 100% free. No purchase necessary. How to get FREE board review questions each week. Sign Up & PlayTest your knowledge on new topics each week online for free. If you liked this board review question of the week, you can get alerted of new free questions every week by subscribing to our Medical Education Blog – voted one of the best 15 medical education blogs of 2018 by Feedspot.com. SubscribeGet free review questions delivered to you each week!